Keep a close eye on the CBU Events Center during the coming basketball season. 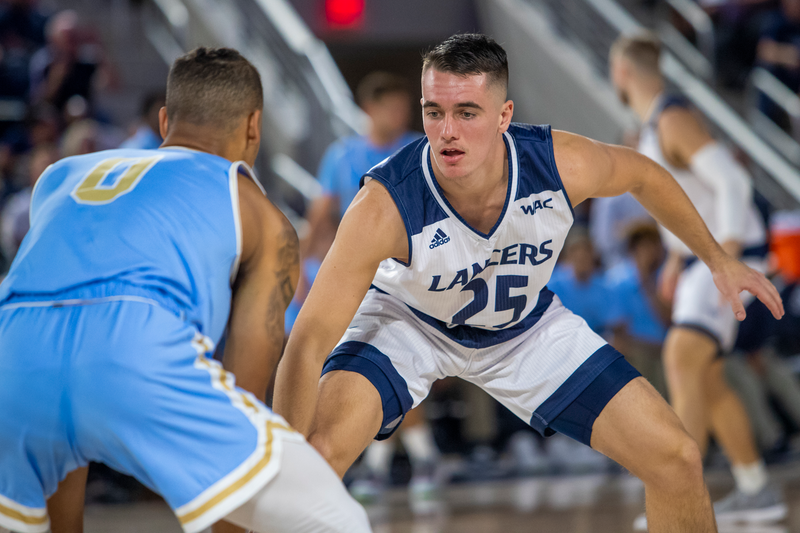 Aside from the publicized transition to Division I, both the Lancer men’s and women’s basketball seasons have many intriguing storylines. One look at the teams’ schedules is enough to excite local basketball fans as the Lancers challenge themselves with matchups against household DI names. Both squads will take on crosstown rival, the University of California, Riverside, with the women hosting the Highlanders at CBU. Additionally, women’s team boast a couple of former PacWest foes and reigning Big West Conferenced champion California State University, Northridge. The Lancer men also welcome Big West runner-up, the University of California, Irvine, and visit NCAA Sweet 16 team, the University of Nevada. The building created a platform for the Lancer men to finish fifth in Division II attendance, averaging more than 2,200 fans a game and boasting a 9-2 home record. CBU went on to win the NCAA DII West Regional and take a trip to the Elite 8. CBU’s roster only lists one senior but features a group of key returners that include Jordan Heading, Bul Kuol and De’jon Davis. The Lancers also added impact transfers to smooth the transition process, including Fairfield University transfer Ferron Flavors Jr.
On the women’s side, a combination of a young returning core and some transfers will give the Lancers weapons in their first DI season. CBU lost six players from last season’s roster but return three starters. Point guard Ane Olaeta, who averaged more than 11 points a game in her freshmen campaign, will reunite with returners Lexy Ram and Blaysen Varnadoe this season. Additionally, CBU has bolstered its roster with three junior college transfer students. Delacy Brown, Britney Thomas and Tiena Afu all transferred to CBU from junior colleges as the Lancers sought to fill the void left by new alumna Tori Mitchell. As one of just two seniors on the roster last season, Mitchell led the Lancers in scoring and rebounding. A new conference, big-name opponents, familiar stars and fresh faces will come together to create a historic start to the programs’ first Division I run. It remains to be seen how competitive the Lancers will be, but one thing is certain, you will want to stick around to find out.